Hey there! 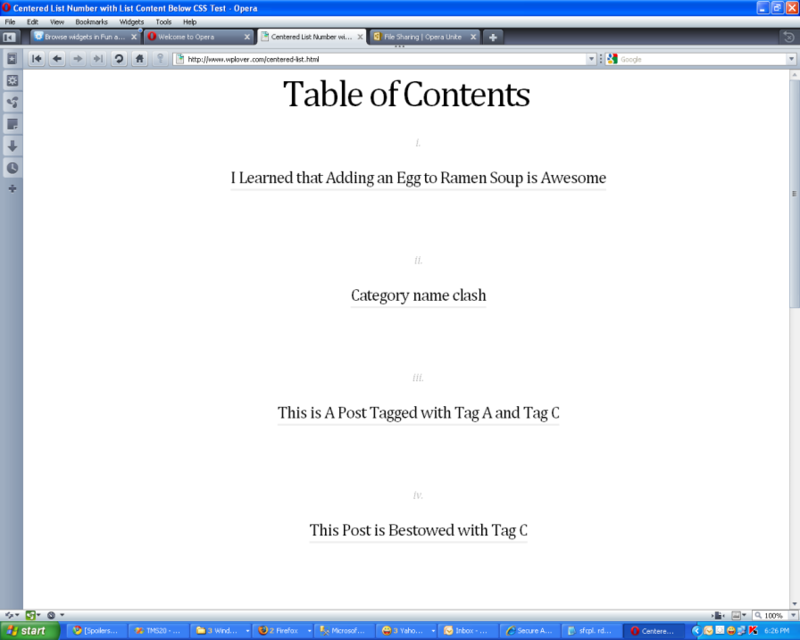 This is a CSS experiment with the goal of displaying an ordered list where everything is centered and the list content text is below the auto-generated list number. If it works correctly it should show up like this on your browser. It seems to work on modern version of Firefox, Opera, Safari and Chrome. IE shows no number, but whatever. Please view-source to see how it works. Cheers!